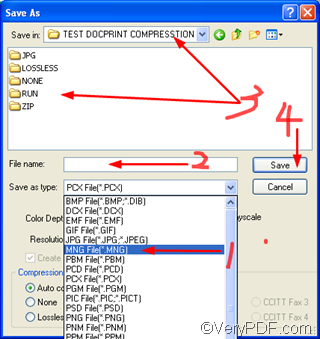 ← How to convert rtf to jpg? MNG, is short for Multiple-image Network Graphics, is closely related to the png image format. When PNG development started in early 1995, MNG acted as an animation-supporting version of PNG. MNG is currently not as widely supported as PNG. Nonetheless, Cwenview has native MNG support, and MNG plug-ins are available for most web browsers. It supports for difference (or "delta") images for still better compression, integration of both PNG and JPEG-based ("JNG") images and supports for transparent JPEG images. A high quality image always has higher color depth, higher resolution quantifies, and bigger size . Color depth can range from 1-bit of information to 24- or 32-bits of information. 32-bit is the highest color depth. Image resolution describes the detail an image holds. The first number is the number of pixel columns (width) and the second is the number of pixel rows (height). The higher the numbers, the sharper the lines. 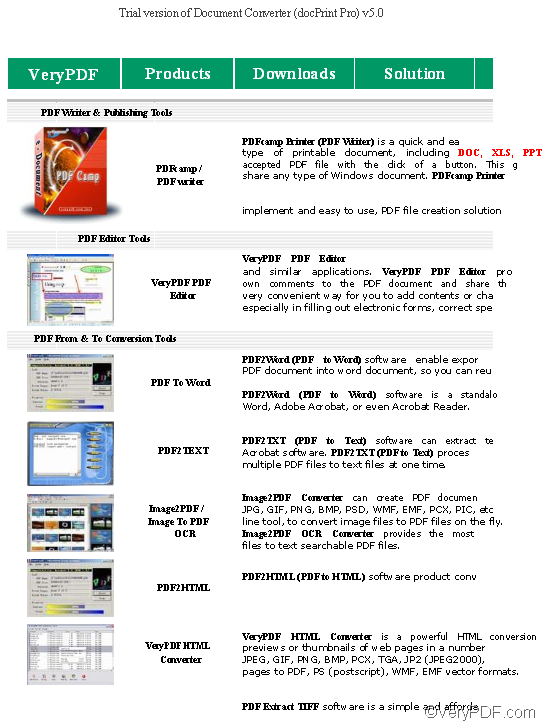 Step 1: input the Word document to VeryPDF docPrint. 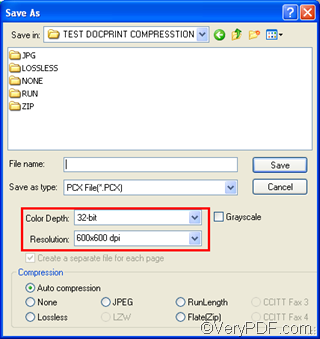 1.4 Press OK in the Print dialog box to open the docPrint dialog box, in which you can view the document. If there pops out the Option Setting dialog box, you can close it, because it is for adding things like watermark. If you want to convert more documents to MNG files, you can repeat step 1. 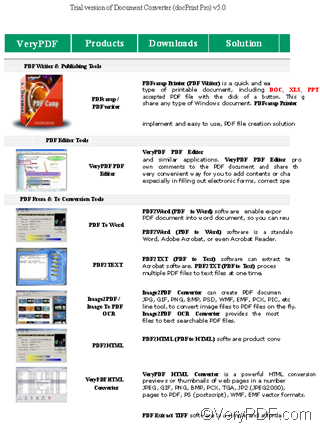 VeryPDF docPrint supports batch conversion. Step 2: set color parameters. 2.1 Click the printer icon on the tool bar in the the docPrint dialog box to open the Save as dialog box. 2.2 In the Save as dialog box, two combo boxes titled Color Depth and Resolution concern the quality of image. You should set 32-bit as the color depth in the Color Depth combo box, and set 6ooX600 dpi as the resolution in the Resolution combo box. Step 3:Create high quality MNG files. 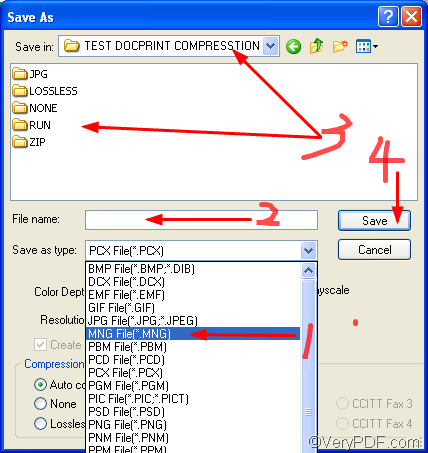 3.1 Choose MNG File(*.MNG ) in the Save as type combo box. 3.2 Type the name in the File name edit box. 3.3 Select the directory to store the new MNG file in the Save in combo box and list box. Now you can evaluate the conversation from the Word document to MNG files. The following MNG file is converted from one of the pages of the Word document. It’s color is very clear and vivid. How to edit note comment in docPrint preview application?